Nevro was founded by colloquial poet Mohammed El Husseini in 2004 and is currently run by his son, Ahmed Mohammed El-Husseini. At the time of the house’s founding, El-Husseini had been searching for a house to publish his poetry. Frustrated by the lack of publishing houses interested in colloquial poetry, El-Husseini began by publishing books for others. Nevro continues El-Husseini’s efforts to publish colloquial Egyptian poetry and places special emphasis on providing opportunities for young, emerging poets to publish their work (and often by asking them to contribute financially to help cover the costs of publishing, a practice quite common in Egyptian publishing especially among young authors and houses). Additionally, Nevro publishes a range of literary genres including poetry, stories, novels, and plays, and it has a number of books on politics, religion and cultural studies. Nevro has published translations from English and other languages and has a number of dual-language books, most of which are poetry. To learn about Nevro’s events, refer to either of their Facebook pages. A visit in 2013 found the store to be a bit smaller than it was at first visit, yet the staff was extremely helpful and polite and it seems a nice space for attending an event. Their books are organized by publisher, and in addition to Nevro publications they have selections from other smaller and emerging literary publishers such as al-Dar, Dar Dawen, Dar Oktob, Dar Rawaya, and El-Nasher. 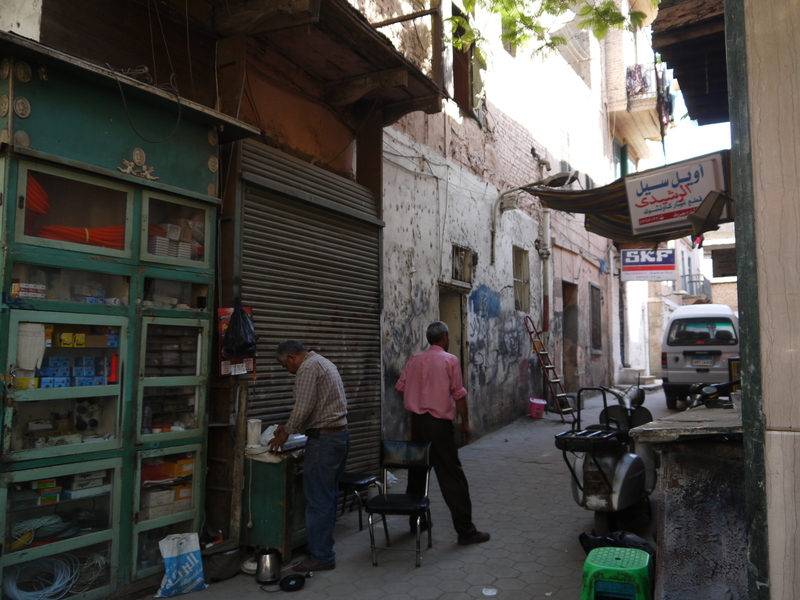 The store entrance is located on a small pedestrian street off Maarouf Street. It can be a bit hard to find as the only sign is the one located on a door on the second floor. You may need to ask for directions or perhaps will be directed to the doorway by nearby shopkeepers. Go up the stairway; the store is the first door to your left.